Voted the World’s most beautiful Pier by CNN in 2014, the uMhlanga pier continues to show its beauty, this time in support of Breast Cancer awareness month this October. Last year the uMhlanga UIP was approached by the KZN CANSA Association to take part in wrapping our village trees in pink. The UIP looked to take part in this campaign annually with the focus this year being on the promenade and what better canvas than the pier? 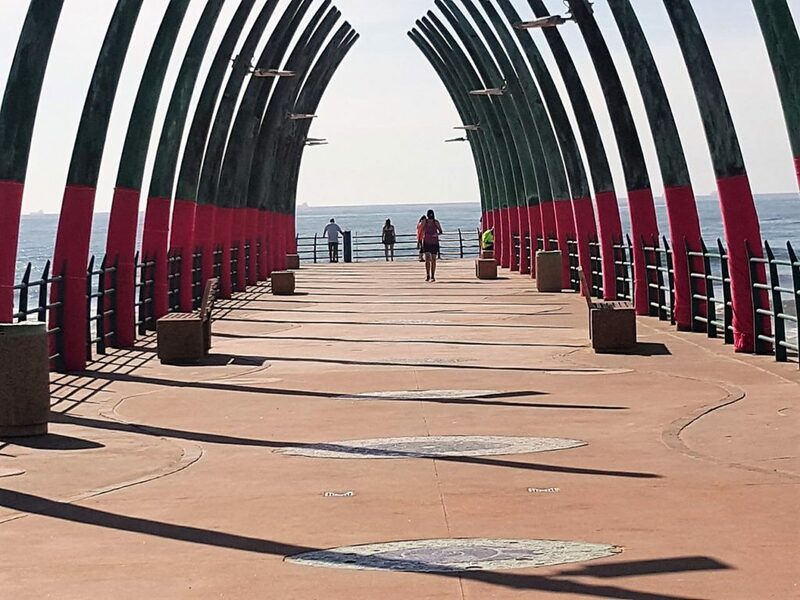 With the support of the eThekweni Municipality Coastal Engineering department, our maintenance team, led by Dewet, took to whale bones creating a perfectly pink pier that has stood despite the stormy weather and will continue to brighten the space until the end of the month. Thank you to all involved and remember to show your support by wearing a pink ribbon, for more information on the KZN CANSA Association read here.